Setting the standard for compact commercial vehicles, the Ford Transit Connect was crowned International Van of the Year in 2014 thanks to its durability, fuel efficiency and load carrying ability. A generous loadspace makes this van a highly versatile proposition, while the use of advanced technology helps to increase safety and comfort. 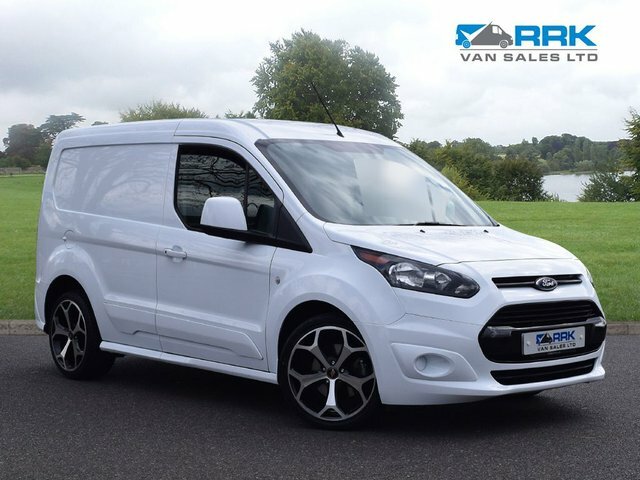 Take a closer look at the range of used Ford Transit Connect vans for sale in Worksop right now by paying a visit to RRK Van Sales Ltd. We're a leading supplier of used commercial vehicles and our team is best placed to help your business find the right van for the job. Start off by viewing our latest stock here on the website and don't hesitate to get in touch with any questions. Finance is available to UK residents aged 18 years or older, subject to status. Terms & Conditions apply. Indemnities may be required. Other finance offers may be available but cannot be used in conjunction with this offer. We work with a number of carefully selected credit providers who may be able to offer you finance for your purchase, commission may be received. We are only able to offer finance products from these providers. Postal Address: RRK Van Sales Ltd, 41 East Gate, Worksop, Nottinghamshire S801RE. Find contact details here. RRK Van Sales Ltd is authorised and regulated by the Financial Conduct Authority, FRN: 665297. All finance is subject to status and income. Written Quotation on request. We act as a credit broker not a lender. We work with a number of carefully selected credit providers who may be able to offer you finance for your purchase. We are only able to offer finance products from these providers.